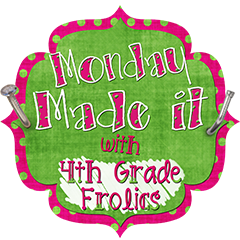 This week I went with a super simple Monday Made It, but one that will be very useful next year! I introduce to you............. Mr. Spacer! I first heard about Mr. Spacer from Hadar and he has been pinned for a long while. Mr. Spacer is used to help your students leave appropriate spaces between words! Lots of my students last year could have used this, but I can think of one student in particular who I wish I would have had this for! His handwriting is pretty messy, and a lot of the time I couldn't tell which letters he was making, let alone where one word ended and another began. I will have him again next year so I am excited to see how his work will change with the help of Mr. Spacer! 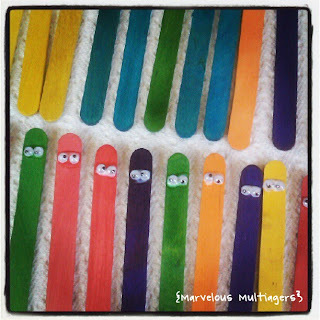 To make Mr. Spacers, you'll need popsicle sticks, googly eyes, and Mod Podge. I got my popsicle sticks and googlies from Hobby Lobby. 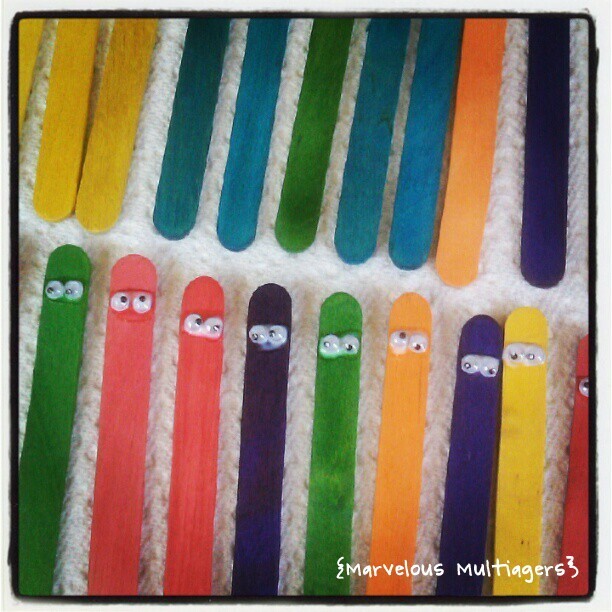 The popsicle sticks are regular sized and the googly eyes are 4 mm. So tiny! 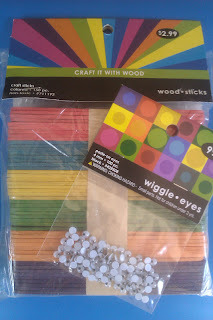 All you have to do is Mod Podge two little eyeballs on top of each stick! I used a Q-tip to apply the Mod Podge and then just tossed it. That worked perfectly. I love the little eyes on the trackers! I wish I had seen these before I spent the money on my Space Men! So many good uses for that! This is great. I one of my students from this year will be with me again next year and this will be a PERFECT tool to use! Thanks for the great idea! I need to make one of these for my niece. She always runs all of her words together! Love the idea. Super cute! I love it--simple is always good! I'm one of your newest followers. I would love to have you come by and visit. Thanks for your help! I think I did it! Great idea for spacers! I bet the kiddos love the squiggly eyes. wicked cute Jill!!!! The kids will love them! What a great idea, I usually use pennies for spacers, this is so much cuter. Love this idea! It was great meeting you yesterday. Enjoy the rest of your summer.